LAWI Group contracted Gemma Purnell from PDS Consulting Solutions as an independent consultant managing our Digital Marketing Services including Web Design & Development, SEO Optimization, SEM/Google Adwords, Social Media & Online Reputation Management for all of the companies within our group. 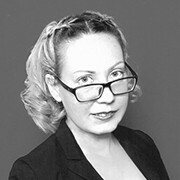 Gemma and her team are professional, committed and extremely knowledgable in their fields of expertise. Since Gemma took control of our Adwords and then our SEO we have seen an increase in enquiries and a decrease in our Adwords costs. Not only has the cost benefit been very obvious but the quality of enquiries has got better and better. Since Gemma started work on our SEO we now have a high 1st page position in one of the most competitive areas for advertising for our business sector and the increase in organic enquiries has been remarkable in such a short space of time. We had tried other companies before talking with Gemma and from our experience we would not hesitate to recommend Gemma to others as she has made such a huge difference to our business. Since our consulting sessions with Gemma in Bangkok, we’ve carried out a lot of the SEO actions she raised and have now really seen stellar improvements. We are now number 1 in the world for our focus key terms and rising along the rankings for many others. I hired Gemma to do a 3 day training course for my marketing team on SEO, SEM, PPC and Social Media. Gemma proved well prepared, extremely knowledgeable and excellent at delivering complicated content in a straightforward and accessible way. I would rank her the most informed digital marketing consultant I have met and have no hesitation on recommending her. I have worked with Gemma in many capacities and in each it has been a pleasure, her knowledge comes from direct experience which makes everything she does even more relevant. The style in which she works is that of a friendly expert and she really cares about her clients success. The Adwords course I took was a great knowledge investment. Gemma was brilliant at explaining complicated subject in simple words and made it easy for anyone to follow the steps and understand. She’s not only a truly knowledgable person in Adwords, she’s also a brilliant teacher. Two days after I finished the course I was able to launch my first campaign for my property business. Professional training at all levels from a great trainer who not only understands the industry but how to get training across to all levels from beginner to specialist. Happy to have worked with Gemma and look forward to working with her again. Gemma is a fantastic trainer and consultant. I have personally done SEO and Adwords training with her and she is one of the best teachers I have come across. Gemma knows her stuff inside out and is able to clearly explain difficult concepts in simple terms. Gemma is a one of a kind, able to explain technical computer language into easy English. Her knowledge of website design, advertising and marketing online is extensive and she’s always patient and willing to help. Can’t recommend her enough, she’s been a life saver! Gemma uses real-life examples and functional tips based on her years of Google experience giving me THE shortcuts on using Adwords and getting the best results. Also the online support is excellent and every time I have a question Gemma answers fast with a clear answer. I now have my first Google Adwords campaign up and running and over the course we will analyze and optimize this… already now my campaign is getting good results which was my ultimate goal! I have had the opportunity to work with Gemma several times as both a consultant and a trainer. In order to ensure the most effective marketing strategy for your company you need to have somebody like Gemma on board. In an industry full of big promises that often fail to deliver, her team has proven to be reliable each and every time that I have worked with them. Gemma is an extremely competent and accomplished IT consultant and trainer – her approach is always highly professional and totally results-focused. Working with just a basic idea and little guidance, Gemma’s vision and creativity delivered a product that was everything I wished for – and more! Training with Gemma Purnell is not just a review of tools. It is teaching based on you and your needs. Gemma is very skillful at covering difficult subjects, so you grow quickly. The many practical examples allow you to quickly put theory into practical. I joined Gemma’s course with the goal of becoming Google Adwords certified and was lucky to have Gemma on my side through the training and exams as she encouraged, inspiring and cheered far more than your normal teacher.